Excelsior! 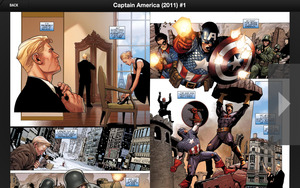 The makers of three apps Comics by Comixology, iVerse, and Panelfly, have brought one of the “big two” comics publishers to the iPhone for the first time. On Thursday the companies announced that, effective immediately, several comics from Marvel Comics will be available for purchase via in-app purchase from the free Comics app. The Marvel comics available initially from Comixology are Joss Whedon’s 24-issue run on Astonishing X-Men, Robert Kirkman’s five-issue Marvel Zombies miniseries, Ed Brubaker’s first 30 issues of Captain America, and two other X-Men-related books, X-23 and X-Men: Age of Apocalypse, each six issues long. 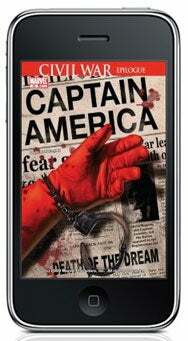 This isn't Marvel's only foray into the world of the iPhone. The company recently launched two "motion comics" sold directly via iTunes: Spider-Woman and an adaptation of Whedon's Astonishing X-Men.